FM3 Partner and President Dave Metz has provided opinion research and strategic guidance to hundreds of non-profit organizations, government agencies, businesses, and political campaigns in all 50 states since joining the firm in 1998. 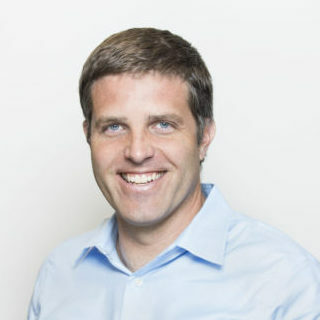 In the 2018 cycle, election Dave’s research helped to elect seven Democratic members of Congress; guide successful ballot measures to legalize marijuana in Michigan and approve medical marijuana in Utah and Missouri; win elections for the Mayors of San Jose, San Francisco, and Seattle through campaign or IE efforts; pass major statewide land and water conservation measures in California and Rhode Island; and win victories for progressive coalitions on all five statewide measures on the ballot in Oregon. Dave has also provided research to win some of the nation’s most expensive and contentious ballot measure campaigns. These include all the largest conservation finance measures in national history, including six statewide bond measures providing nearly $20 billion to protect land and water in California, as well as major statewide measures in Florida, Maine, Minnesota, Iowa, Missouri, Pennsylvania, Ohio, Nevada, New Jersey, Rhode Island, and Oregon. His research on the issue of “regulatory takings” helped the environmental community reverse a string of ballot measure losses and win six consecutive campaigns in California, Oregon, Washington, and Alaska – and to defeat an attempt to revive the issue in Colorado in 2018. Dave has worked with public health coalitions to establish precedent-setting soda taxes in Oakland, Berkeley and San Francisco – overcoming tens of millions in industry opposition spending in the process. Dave’s other successful work on ballot measure campaigns has included tobacco prevention (California, Colorado, Florida, Nevada, and Arizona), health care funding (California and Arizona), reproductive rights (Oregon and Colorado), clean energy (California and Washington), drug policy reform (Oregon, Maine, Massachusetts, Nevada, Arkansas, Utah, Missouri, Michigan and Washington, DC) early childhood education (California, Texas and Arizona), arts funding (Oregon and Minnesota), stem cell research (California and Missouri), transportation funding (California, Arizona and Washington), and political reform (California, Alaska and Illinois). With a focus on conservation, clean energy, and climate change, Dave has provided research on key message and policy issues to numerous environmental organizations, among them The Nature Conservancy, the Trust for Public Land, the Natural Resources Defense Council, Environment America, the League of Conservation Voters, the Environmental Defense Fund, Climate Solutions, Ducks Unlimited, American Rivers, Greenpeace, Earthjustice, the Wilderness Society, the Chesapeake Bay Foundation, the Sierra Club, the Theodore Roosevelt Conservation Partnership, the National Wildlife Federation, and the National Audubon Society. Dave received his Bachelor’s degree in Government from Harvard University and his Master’s in Public Policy from the Goldman School of Public Policy at the University of California-Berkeley. His writing on politics has appeared in Campaigns & Elections magazine, and in Classifying by Race, an edited volume on the role of race in American politics. He lives in Berkeley with his wife and two children, and as a Wisconsin native spends much of his free time cheering on the NFL franchise that he co-owns with 360,000 close friends.